James Kennedy of Birmingham, England makes history as 40 millionth visitor. 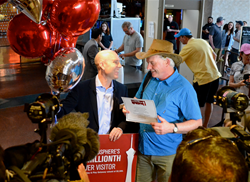 Stratosphere Casino, Hotel & Tower vice president & general manager Paul Hobson surprises James Kennedy of Birmingham, England as the 40 millionth visitor to Stratosphere Tower. 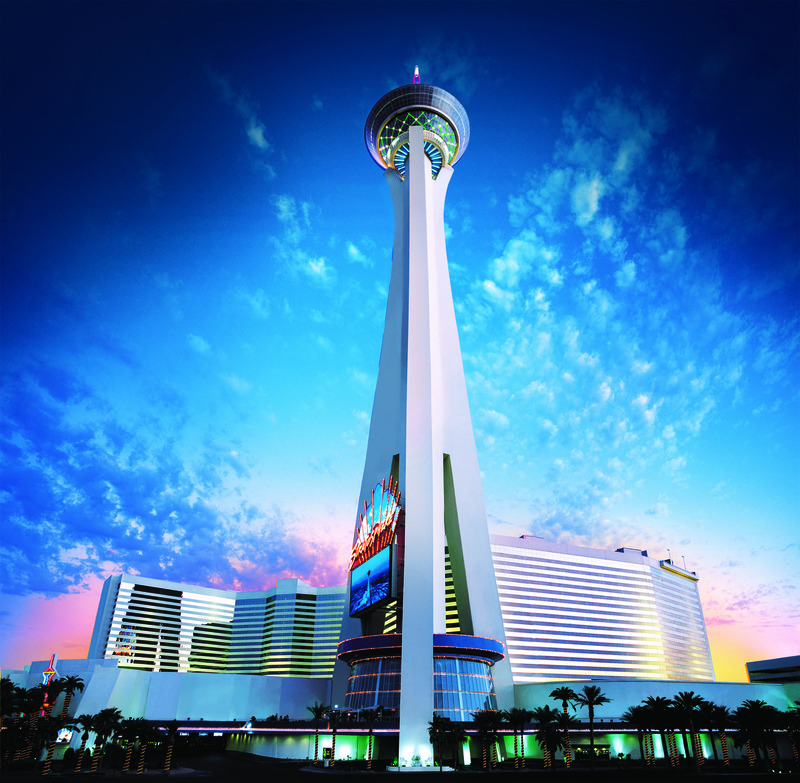 Stratosphere Tower is one of the ‘must see’ attractions in Las Vegas," said Stratosphere Casino, Hotel & Tower vice president & general manager Paul Hobson. "Stratosphere Tower defines our city’s skyline. Stratosphere Tower, reaching an impressive 1,149 feet above the world famous Las Vegas Strip, made history today by welcoming its 40 millionth visitor. Just after 10:30 a.m. this morning, April 21, 2014, James Kennedy of Birmingham, England was surprised by Stratosphere Casino, Hotel & Tower vice president & general manager Paul Hobson at the entrance of Stratosphere Tower with balloons, an entourage of Stratosphere team members and cameras. “I am shocked,” said Kennedy. This is Kennedy’s first trip to Las Vegas, and his first visit to Stratosphere. Stratosphere Tower is open Sunday to Thursday 10 a.m. to 1 a.m., and Friday and Saturday 10 a.m. to 2 a.m. Tickets for are $18, plus tax. Discounts apply for Nevada locals. YouTube video of the surprise here: http://youtu.be/PoX1GZr0XFg. Photo of the surprise here: http://cl.ly/image/0v3z1S12171m.